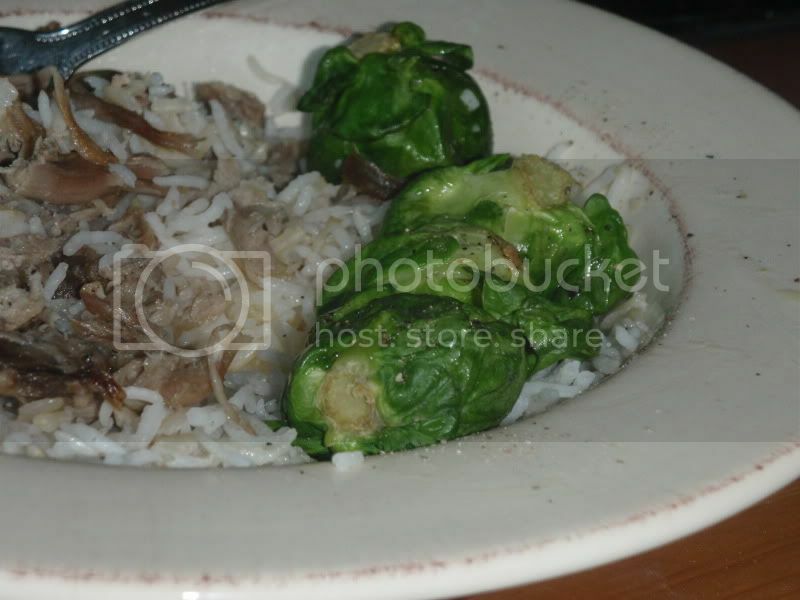 This is a real easy way to make Kalua pig. As mentioned in the previous post, I had never tried brussels sprouts before, so I steamed them in the microwave and tossed with butter and pepper. Not bad at all. Trim excess fat from pork and place in base of slowcooker. If desired, place a rack in first, so some of the fat drips away. Add liquid smoke. Cook on low for 8-10 hours. Remove from slowcooker, reserving liquid. Shred meat using two forks and toss with salt, tasting periodically as not to over salt. Strain liquid from bottom of the pot. Chill for a bit and then scoop away the fat. Add some liquid to pork and stir well. 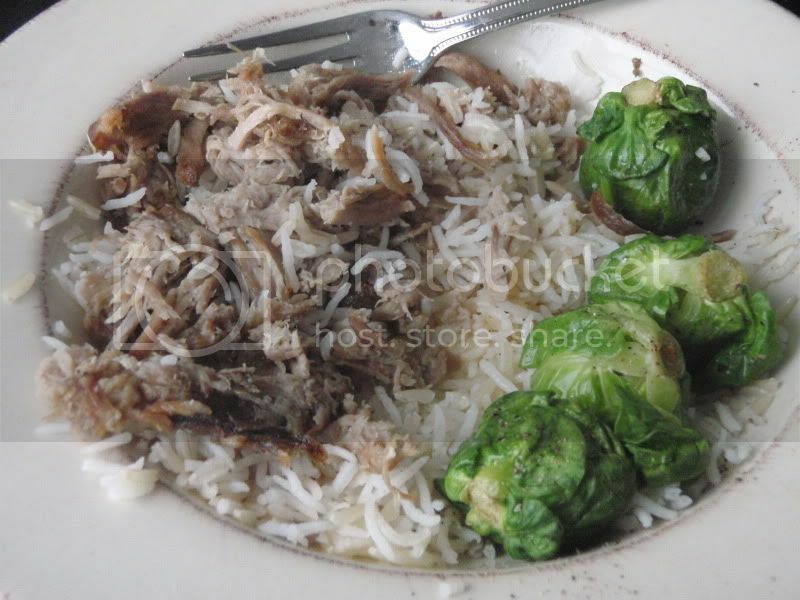 (A moist kalua pig will mix with rice beautifully without the need for soy sauce.) Serve with rice. Other uses: Instead of salting, shredded meat can be mixed with your favorite bbq sauce. Cook for about 20 minutes on high so that the sauce cooks in. Serve on buns. Steam sprouts in the microwave 2-3 minutes. No liquid is required if using special steam bag. Toss with butter and sprinkle with pepper.